Sunny Food Mart is one of Canada’s famous Chaojishichang provide the most convenient necessities of life for the people from different countries of the world, and in plain commodity prices to provide customers with high quality goods and services. Fresh meat, seafood, halal meats, grocery, dairy, frozen and bakery products on shelves. Let’s discover delicious recipes and flavors of Chinese kitchen. Their success relies on vision, perseverance and hard work. Cause of this their customers always satisfied about friendly personal and quality of products. 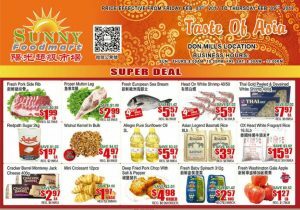 Do not forget to check Sunny Food Mart Flyer for free in our website now. 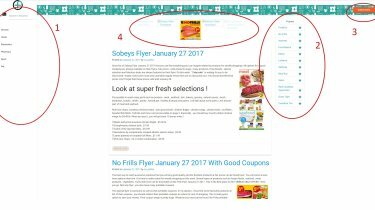 Sunny Food Mart Flyer February 7 2017 is right address, the establishment of a modern, integrated health and convenience supermarkets offer fresh food and other supplies to meet the daily requirements of consumers of different races to become the preferred shopping to consumers. in the corporate culture of excellence, Sunny Food Mart will uphold: respect and integrity to treat everyone in a fair and friendly attitude of communication. However, with a firm position to implement the objectives have a passion to win and go all out to show us the work of the mission from everything . They do to learn, and with a constructive attitude to face the consequences and complete the tasks. Let’s check Super Deal ! If you are in search for amazing deals for weekly shopping , you should look at cover page of this flyer. Many types of quality and the freshest products are on discount. Many part such as grocery , meat , seafood , produce , dairy , bakery and halal are browsable here. Altough their products are limited , you can find the best selections at fair prices on this flyer. In addition , you have a good chance to discover asian products thanks to them. You should browse all details of this good flyer. Here you go let’s check it out and start saving your money with this special flyer !